Witex is a family owned German company started by a visionary engineer, Albert Windmoller. The company began in 1978 in Augustdorf, Germany to make furniture components. In 1990, Ulrich Windmoller, son of the founder, invented a way of making direct pressure laminate flooring with a high-density core board. 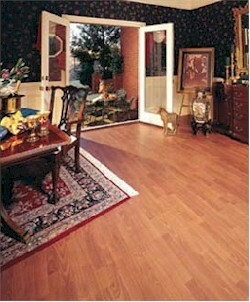 Today over 70% of the laminate flooring sold around the world is made this way. Through continued innovation, Witex developed glueless flooring technology that now leads the industry. Under the guidance of Ulrich Windmoller, Witex has grown into a world leader in laminate flooring focused on innovation, precision engineering and ecological responsibility. Witex is sold in over 60 countries, and starting in 2003, Witex is making a new commitment to our North American customers by expanding distribution and planning the construction of a vertically integrated manufacturing facility in North Carolina.